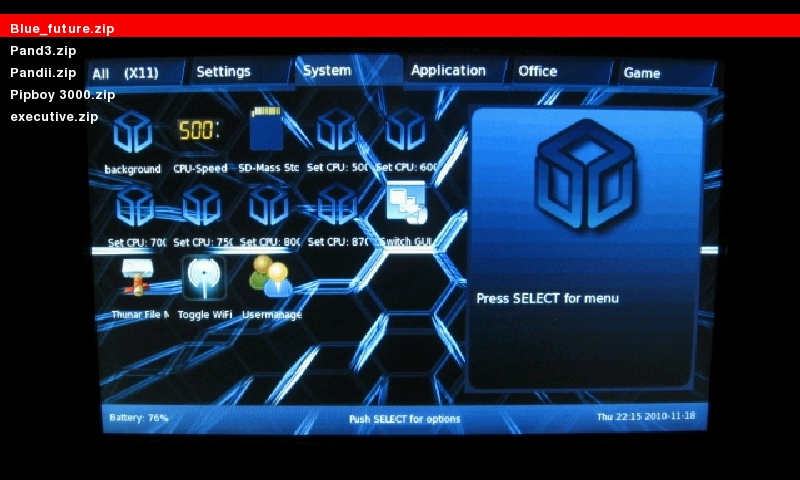 Navigate this menu with the up and down arrows, and press enter or B to install that skin. R activates uninstall mode. Here you can select a skin to uninstall with enter or B. L returns to the install screen. This program will not stop you uninstalling your active skin, but dont worry, mini menu will reset to default if you do that.